You'll feel right at home here. DIli Villa is located in picturesque cozy corner in Dilijan, in the little Switzerland of Armenia, surrounded by a forest. The unique design and traditional elements create the impression of a secluded armenian villa. 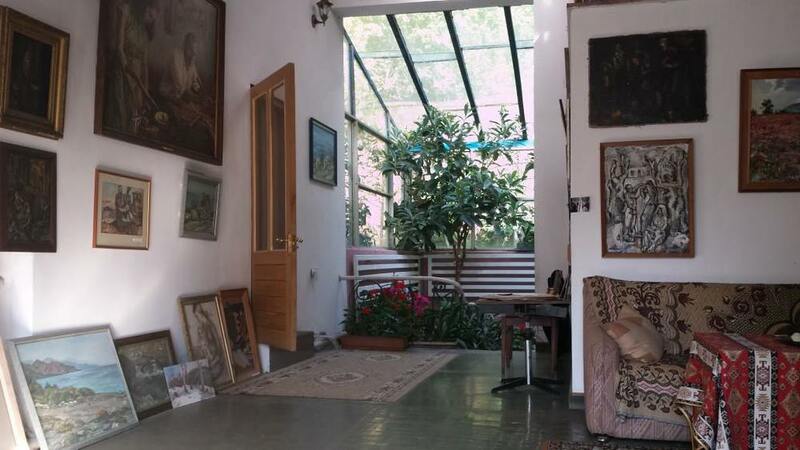 The guesthouse is managed by the well known artists' family Ghazaryan. The owner is the manager of the branch of the Fine Art Academy and the director of the Geologial Museum and Art Gallery in Dilijan. The guesthouse is built with flair and furnished with antique features by the hand of artist owner. 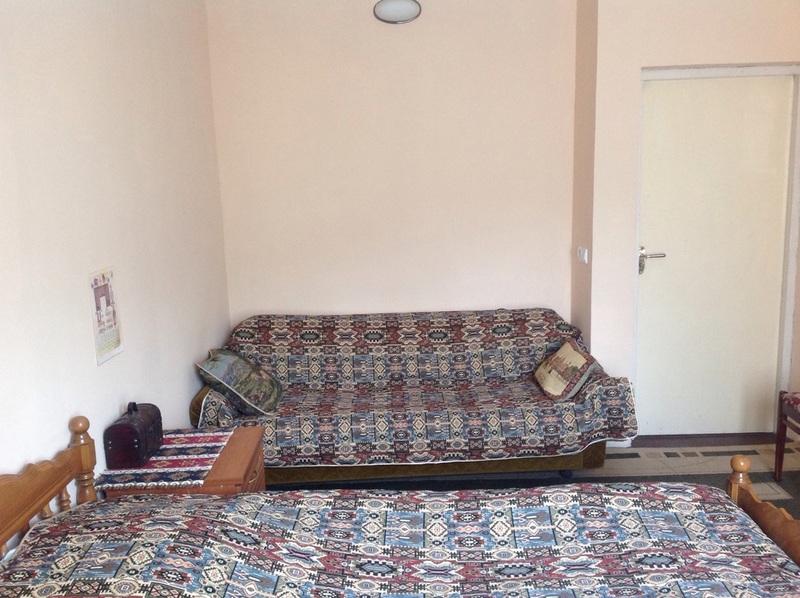 The primary Manager of the guesthouse business is Nune Ghazaryan. She manages it with heart and soul and tries her best to fulfill individual wishes of the guests. The studio is the right place for the mental relexation. You can have a coffee and enjoy the creative atmosphere. Some pictures are for sale, so please contact Ghazar in case of interest. Music & art will accompany you during your stay in Dili Villa. The owner Ghazar plays accordion and cares often for the entertainment program in Dili Villa. A glass of brandy or homemade fruit schnaps ensured a great atmosphere in the evening. Enjoy the royal breakfast in Dili Villa and take an opportunity to become acquainted with Nune's unique cuisine. She is the general manager and the cook in the same time. Nune gives it all for her guest. Freshly baked pancakes are the highlight for the guests. The Suite is the right room for the people, who set a high value on privacy. 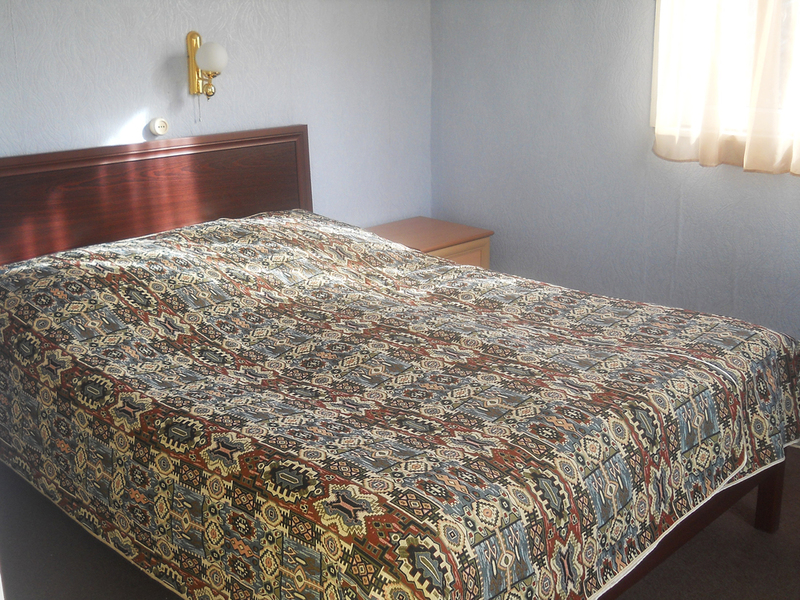 The room is spacious and equipped for comfort and convenience. There is a new big king-sized bed in the room and a comfortable Sofa in the corner. The room is decorated tastefully with the traditional elements. So make yourself right at home and enjoy your privacy. Our rooms in Dili Villa come with everything to meet your needs. The Twin & the Double Rooms are located on the top floor in the attic. 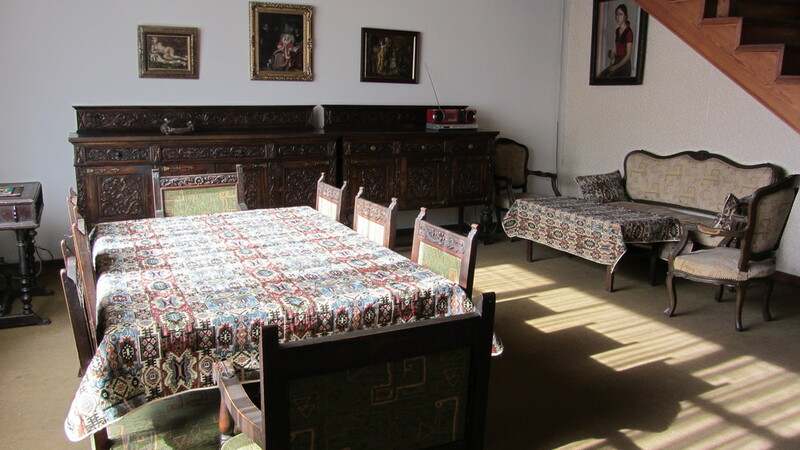 Both rooms have a carpeted floor and are decorated with traditional and artistic elements. There is a small reading corner on the same stage and a nice balcony enjoying mountain view. The shared bathroom is located on the first floor. Cosy cottage of Dili Villa in the garden is the right choice for travelers, who are looking for a romantic place and peace. The cosy Cottage in the heart of nature has a special flair. The small wooden balcony is the highlight of the cottage. There is a seating area near the cottage, where you can relax and enjoy the the great panorama. Mental relaxation is guaranteed here. There are two rooms (Twin & Double Room) with a sharing bathroom in the cottage. The seating area outside has a simple open air kitchen, which is equipped with the necessary items for cooking, eating, etc. © 2015 DILIVILLA.COM All Rights Reserved.